"It's a tough, tough time but I think our heads are definitely on it and we are focused on the game." 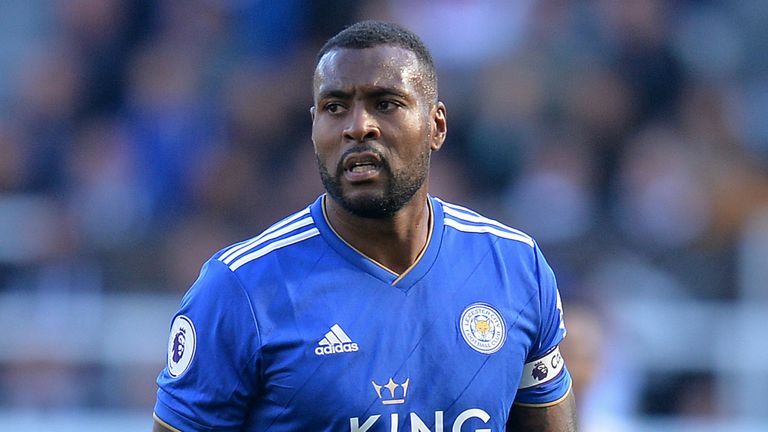 Captain Wes Morgan says Leicester's players are determined "to do right by Vichai" in their first home game since the death of the club's owner. Vichai Srivaddhanaprabha was one of five people killed when his helicopter crashed outside the King Power Stadium on October 27. Morgan was part of a large delegation comprising players and staff who travelled to Thailand earlier this week to pay their respects to the late chairman following their match against Cardiff last weekend. "It's been a very emotional, very tough week," he said. "We've had a lot to deal with in a short space of time. "Obviously we had to play the game [against Cardiff] and the players decided to go straight out to Thailand to pay our respects to Vichai. "It's happened all so quickly but we felt it was something the players wanted to do." The squad have now turned their attention back to Premier League where they will play Burnley in their first match at the King Power stadium following the fatal helicopter crash. Morgan believes the players will remain professional on what will be an emotionally charged atmosphere in front of their own fans. "I'd say we are focused. Being so close to Vichai we know what his wishes would be," he said. "He'd want us to go out there and give our all, play our best, and try and get the win. "The lads will be remaining focused on that point and trying to do right by Vichai. "Obviously its a tough, tough time but I think our heads are definitely on it and we are focused on the game."